Danielle Ariano is the author of the memoir Getting Over the Rainbow, a book that recounts her experience of coming to terms with her sexuality. 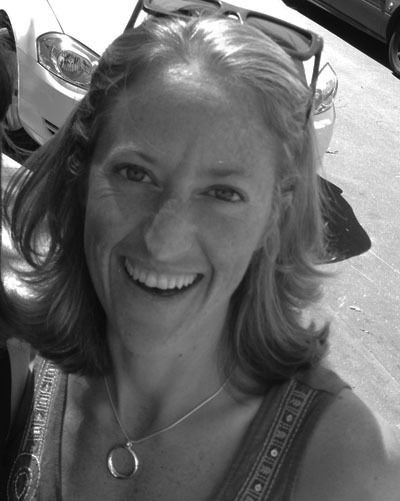 Ariano received her MFA in Creative Nonfiction from the University of Baltimore. Ariano is a former columnist for Baltimore Gay Life, where she wrote Out-skirts. She has been featured on WYPR’s The Signal (click to listen). Her work has been published by Salon, North Dakota Quarterly, Huffington Post, Rufous City Review, Baltimore Fishbowl, Cobalt Review, Welter, Plorkology and Baltimore City Paper. Ariano is also a cabinetmaker, a book artist, a rider of surfboards and a lover of dogs (the real kinds, not the teacup versions). She lives in Lutherville, Maryland with her wife, son and their two dogs.